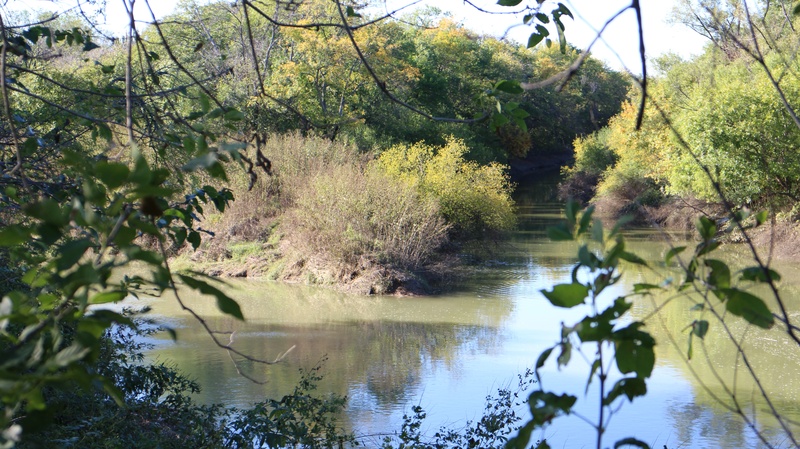 In its upper reaches on the prairie, the Trinity River has four major branches or forks. Smart animals, including some of the two-legged variety, figured out that if you ford a river below a fork, you have to ford only one river instead of two rivers. Below the place where the West Fork branches from the Elm Fork of the Trinity, there was a ford with a low bluff on the east side of the river. It was a natural place to cross the river with just a little protection afforded to travelers by the bluff. A grassy knoll by the ford: that’s where Dallas is today. The land through which the river flowed was part of a vast prairie where bluestem grass and buffalo grass grew in abundance. Pecan and oak trees grew along streambeds that cut across the plains. Herds of bison lived on the prairie. Deer, bears, wildcats, snakes, birds, a host of bugs, and a lot of other creatures made their home there. Some of them still do. The river deposited rich, dark soil in its floodplains and in this area the dark soil of the river bottom intersects a strip of fertile earth called blackland prairie that runs from the Oklahoma border near Paris, Texas, all the way down to the area around Austin. Farmers would keenly prize the blackland soil. It lies over a formation of chalky limestone that can be seen in streambeds throughout the Dallas area, for example, along the banks of White Rock Creek, named for the white limestone.